I had a chat with Anth and Ruth about the programme on air and then got a photo opportunity. When I went in the studio the first thing Ruth said was…” I love your coat”. I had worn my lace trench coat because when I was interviewed for the news the week before, I was telling her all about it. I absolutely loved Episode 3 it was so funny. I really thought I would get extra credit for using the original bias binding foot! Bad move! I love May’s face when I confessed to the flappy bias! and look at this amazing drawing…. by Lauren @StoryLauren. Thanks Lauren! Do you remember Jenni from the other series 2? 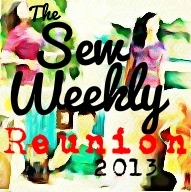 Jenni now has her own column/ blog for Sew Magazine and she is very supportive! Thanks Jenni! Here is her latest update. And I am in the book! Available now! 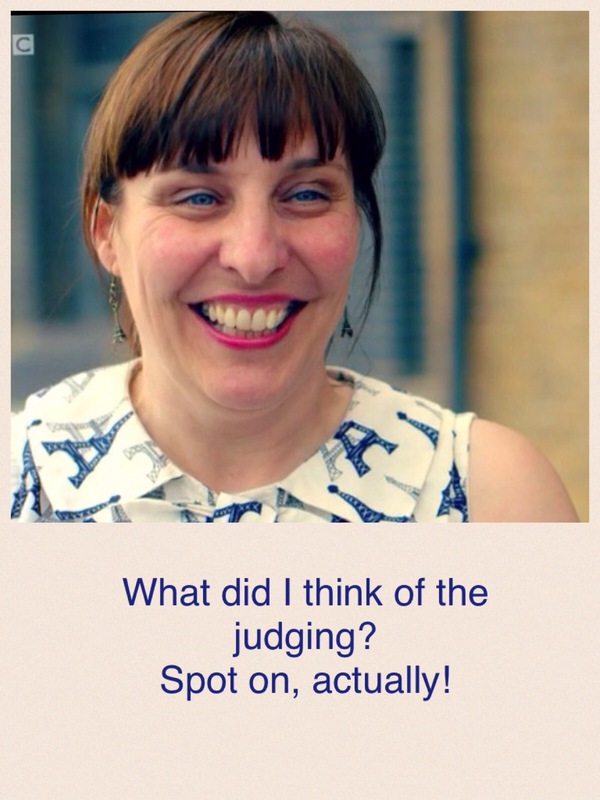 Lisa at WT made the ‘Best Bits’ collage……. Thanks Lisa! 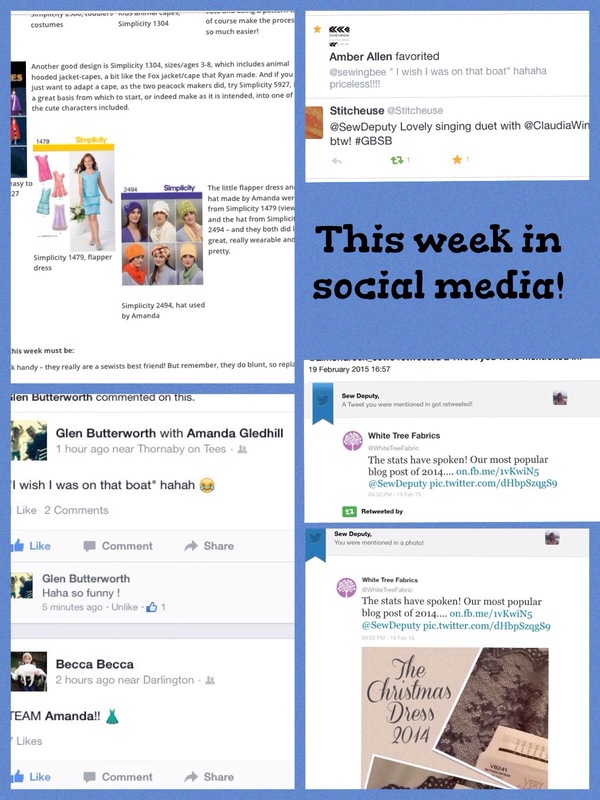 And well done for managing to put an audio of me singing along with Claudia on Twitter! And a fan photo…. 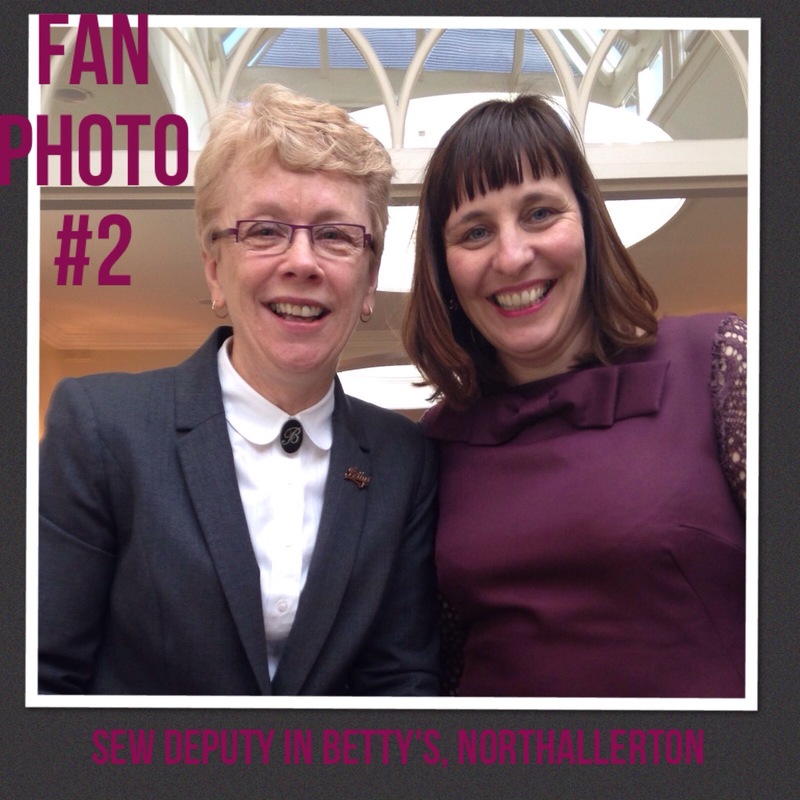 the Manager in Betty’s! 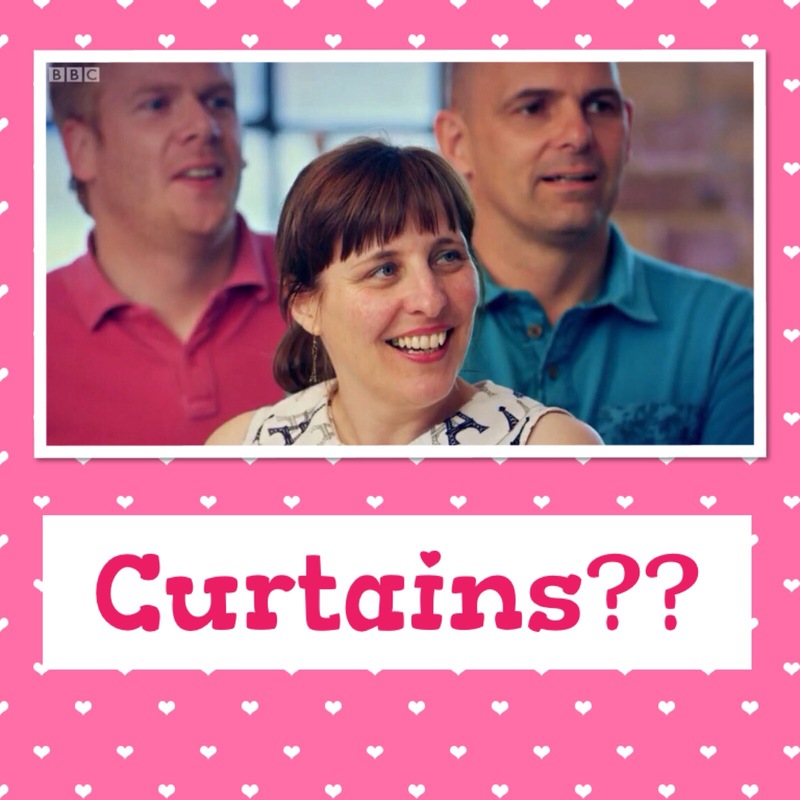 Are you waiting for Episode 4….. tomorrow BBC2 at 8pm…here is a sneak peak! Wonky Factor: 8/8 and 3/8 not bad! 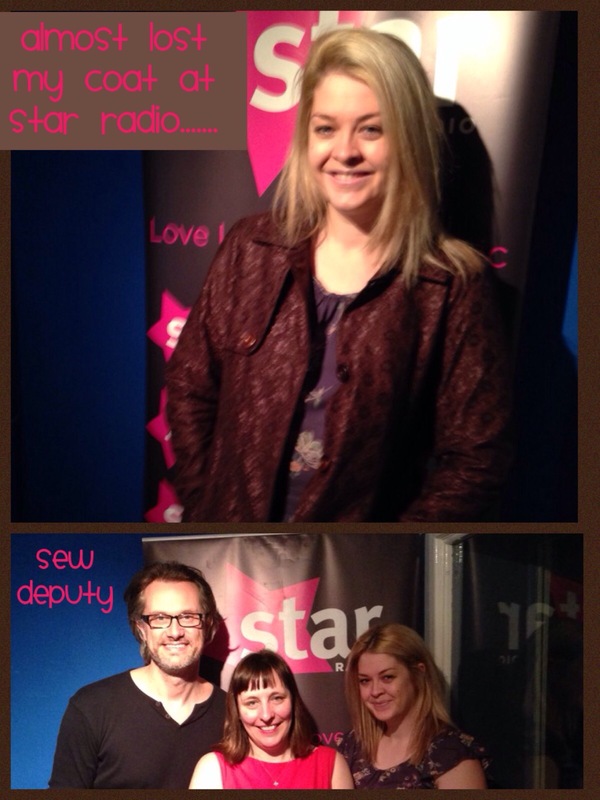 And my pink coat was in quite a few shots! Gets me into The QUARTERFINALS!! 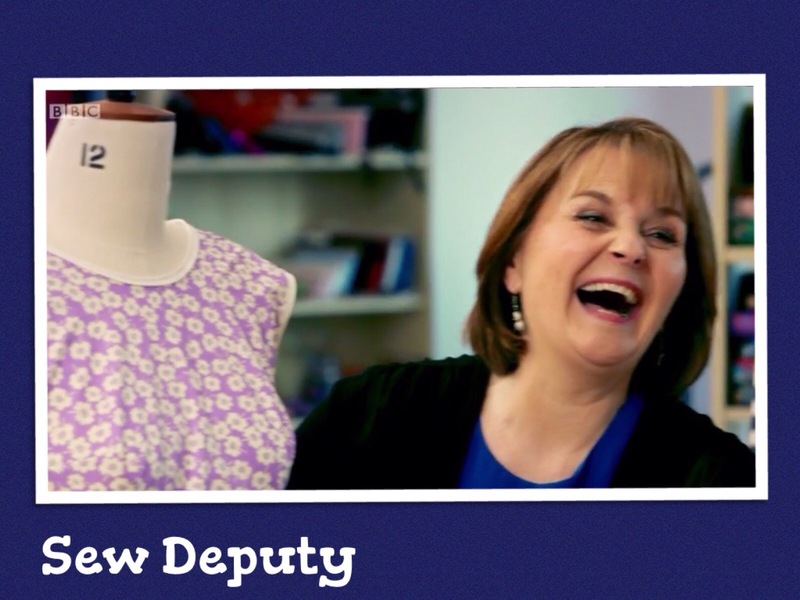 Fully enjoying watching you on GBSB. Hope you make it through to next week and beyond! 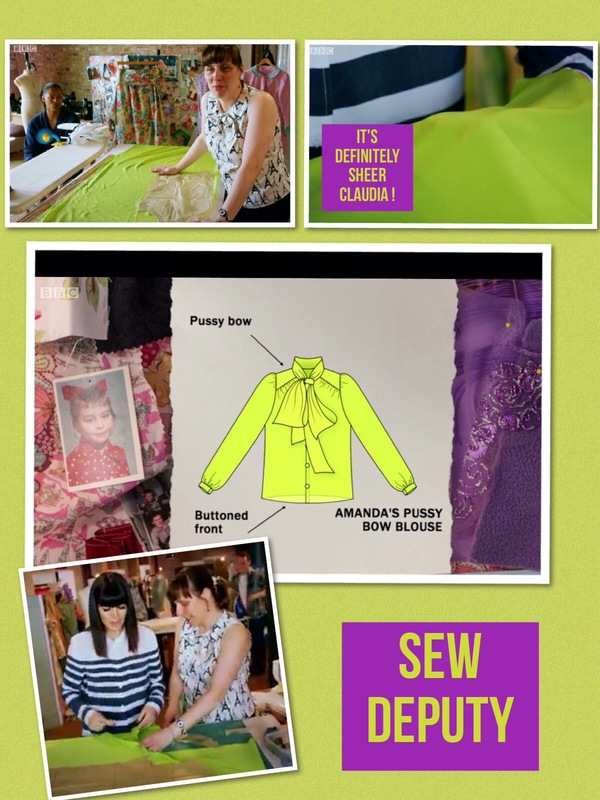 ooooh well done Amanda, just watched episode 3 and see that you’re through to the next stage! Your “sound of music’ skirt was gorgeous. I’m loving watching the programme. 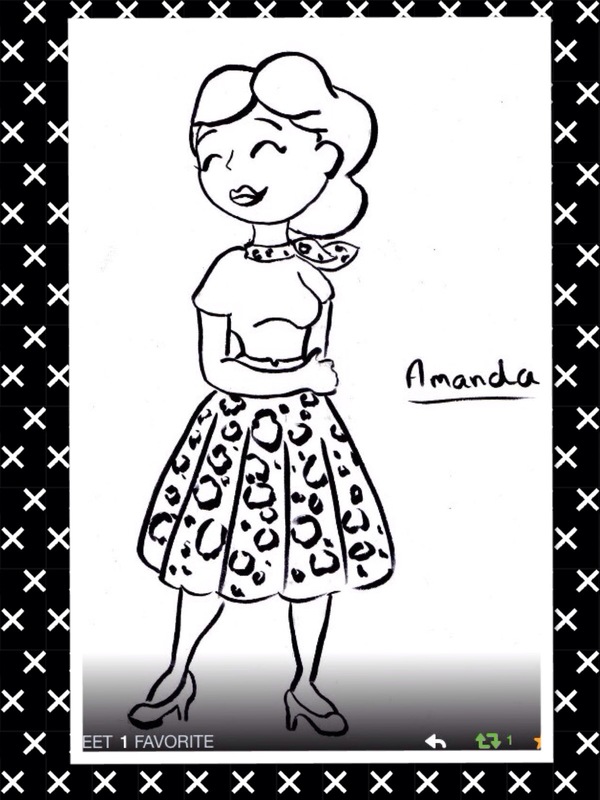 I thought it was really smart of you to add the bow and neckthing (not sure what to call it…) to the skirt. I feel it’s those kinds of extra’s that they usually go for in the refashioning challenge. 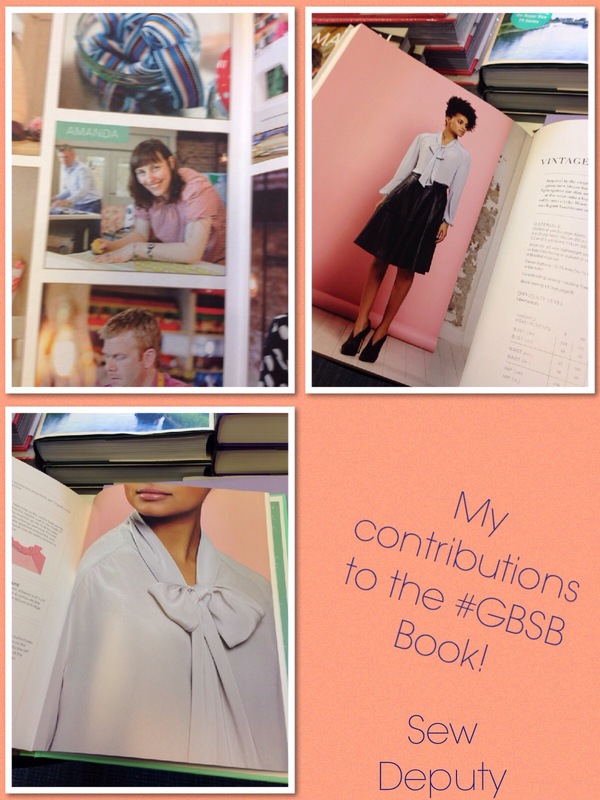 I have just ordered myself the new GBSB book as a Birthday present. Loved your Eiffel Tower fabric top, I have seen that at my local shop and am very tempted to buy a metre or two ! Fantastic! I love how happy and smiling you are on the GBSB! Everyone seems so nice and friendly — just love it! I can’t wait to see what you make next week! BTW: I (as probably a ton of other people!) 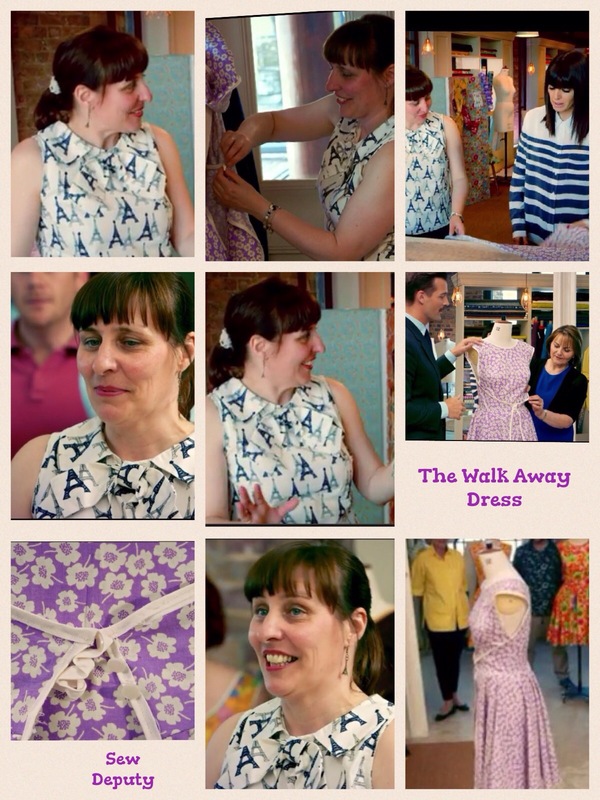 can’t wait to make a walkaway dress! I’ve had that pattern for ages, but have never cut into it. Me too! Not sure I will !!! Lol !! I loved your skirt. Very floral lol but the belt was super and was really the icing on the cake. 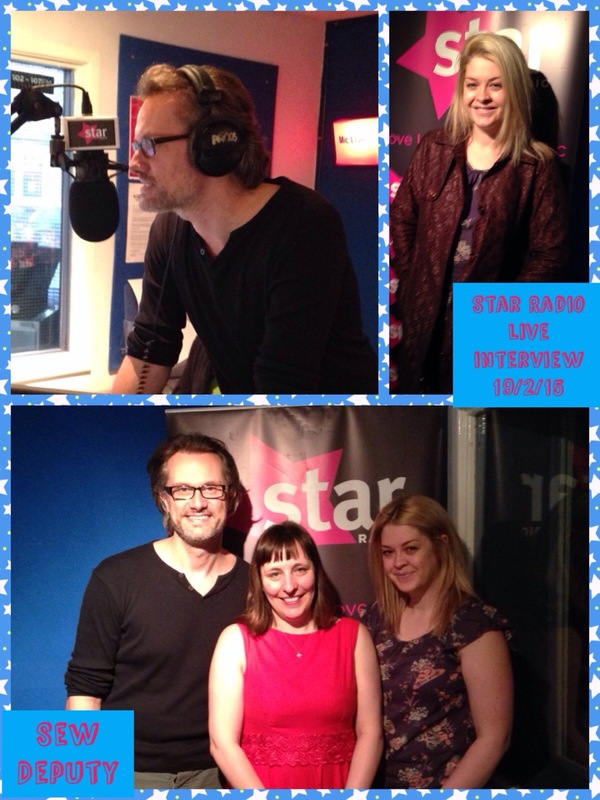 You’ve been having an amazing time with all these radio shows and fans etc etc! Episode 3 has been my favorite so far. We share the same fashion icons. With all that pressure you still stay so cheery, even singing! 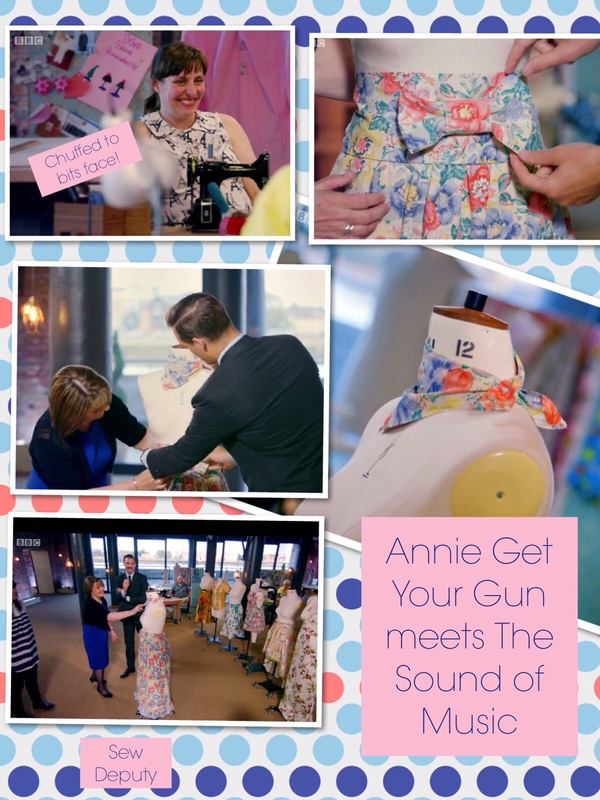 I look forward to each episode and wonder how big the increase is sales of sewing machines and fabric is after each show is broadcast? There will be a whole new generation of singing sewers. Let’s hope so! The children are school are all inspired so let’s hope it continues nationally!! I ❤️episode 3. 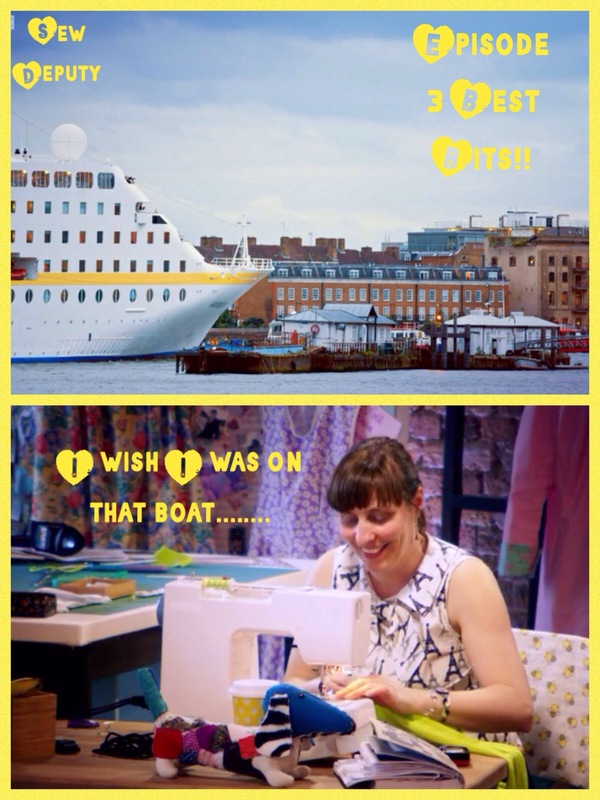 Still laughing so much about the boat, the singing , the banter! Funny! 🐝 thank you! Just had to google Dewsbury! No idea where it was… Could be a bit of a trek, but maybe a Summer holiday jaunt… What’s happening on the 8th? We are going to a few fabric shops and a coffee! Don’t worry, perhaps we could arrange closer to you in the summer hols?!? Yeah! Would ❤️that! Great! Will look forward to that! 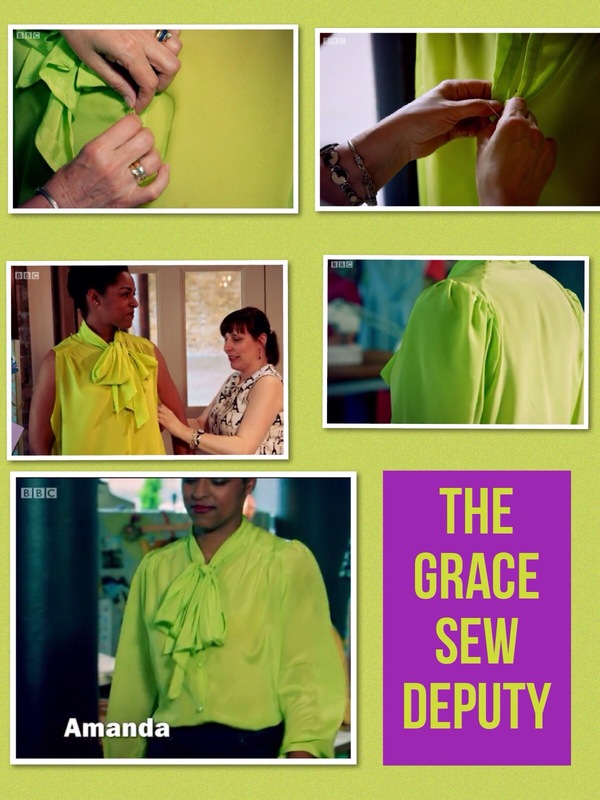 Home sewing has to be as good as RTW I think! So I know my garments weren’t dog eared etc! Haha I hope we get them back!! Rumour has it we might after transmission!! You would have been so good at next week’s lace challenge too. Be great if you get your pieces back, feels like they should belong to you as you put all the effort in. 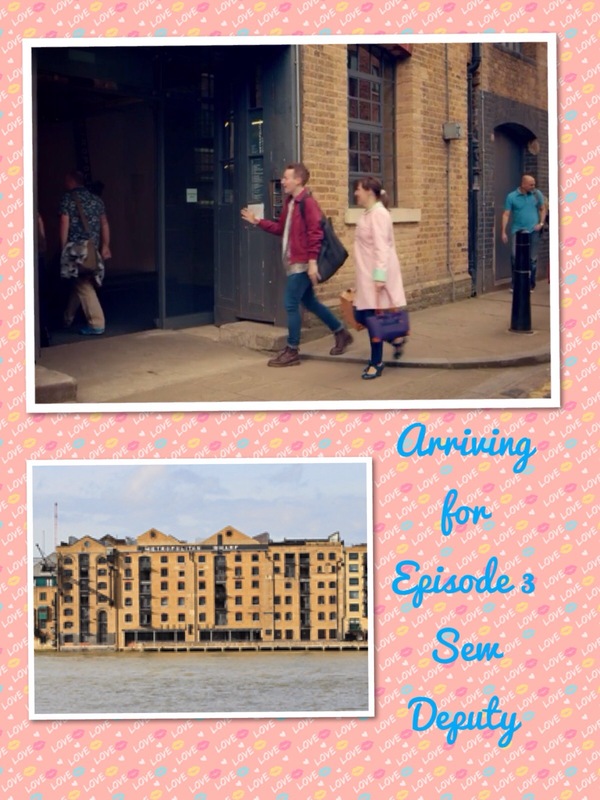 Just catching up on my backlog of blog reading…..I’ve not been able to go near my computer cos of the tears after watching last nights episode. sob sob. So sad to see you go. How about looking finding somewhere in the middle of everyone….or is that Dewsbury?? haha only kidding. really would be good to have a meet up and a proper chin wag. If we plan in well in advance we should be able sort it out. Dewsbury is good with me! As can see family afterwards! Let’s do it! We can have another inSummer hols with Teresa! Navy blue threads! She’s only in Manchester…..there’s trains direct to Dewsbury every hour! Was further for me. Went to meet Bees there in Sept. Had to get train! Congratulations. I love your round ups. The best bit is how much fun you all seem to have despite the stress you are all under.